In the late 1920s the stock market crashed worldwide and the Great Depression had swept across the nation, putting the League’s services in high demand. Among other activities to help our community, the League opened a thrift shop in 1934 at 504 Westport Road, today the home of The Gusto Lounge. 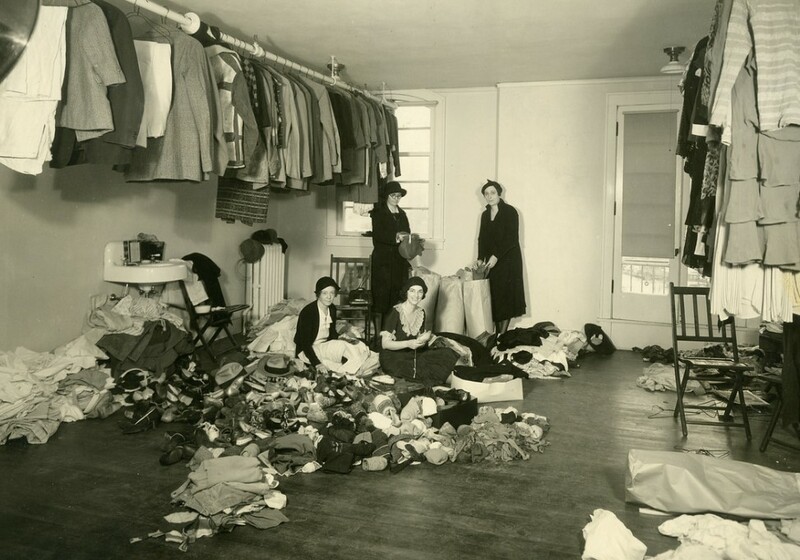 Members of the League emptied their homes and closets of gently used items of clothing and brought them to the shop. The store was a way to directly serve those in need and raise funds on an ongoing basis. More than 70 New Member classes supported our community through this outlet and spent part of their first years working at the Thrift Shop, which later became known as the Junior League Resale Boutique until its closing on April 30, 2011. Throughout its 77 year run, the boutique raised well over $4 million to support League activities in the community. This entry was posted on September 27, 2016 by JLKCMO in Community Impact.